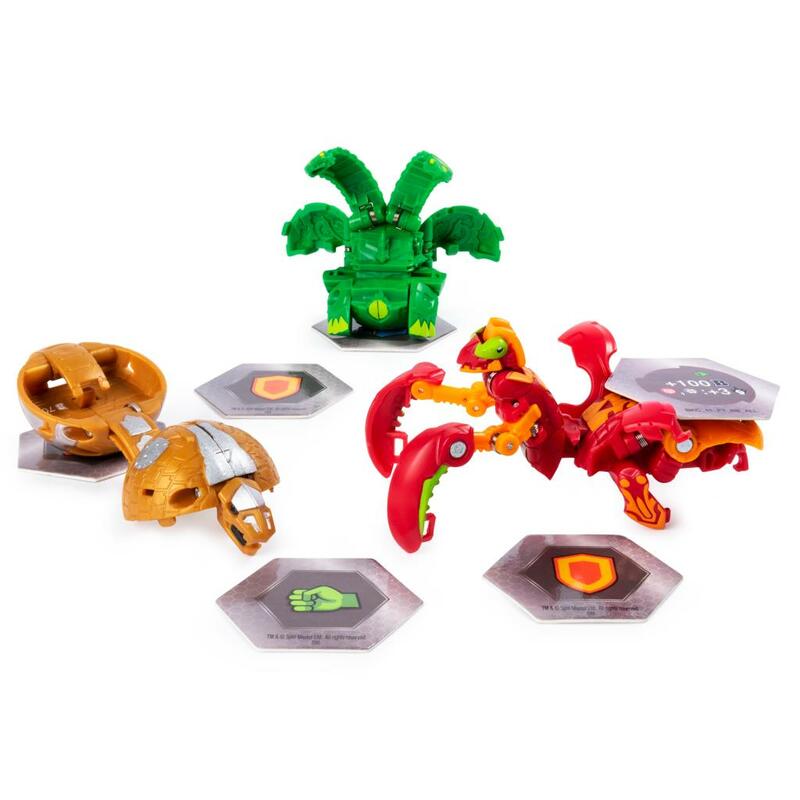 Spin Master - Bakugan Bakugan Starter Pack 3 Pack, Collectible Assortments, Tons To Collect! 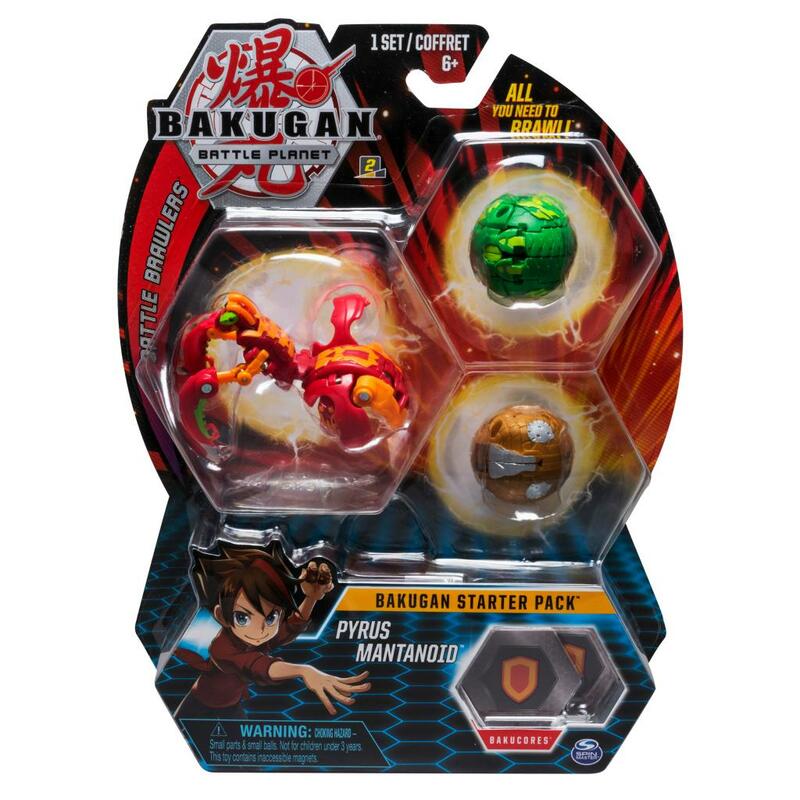 home • products • Bakugan • Bakugan Starter Pack 3-Pack, Collectible Assortments, Tons to Collect! The Bakugan Starter Pack has everything you need to roll into action! 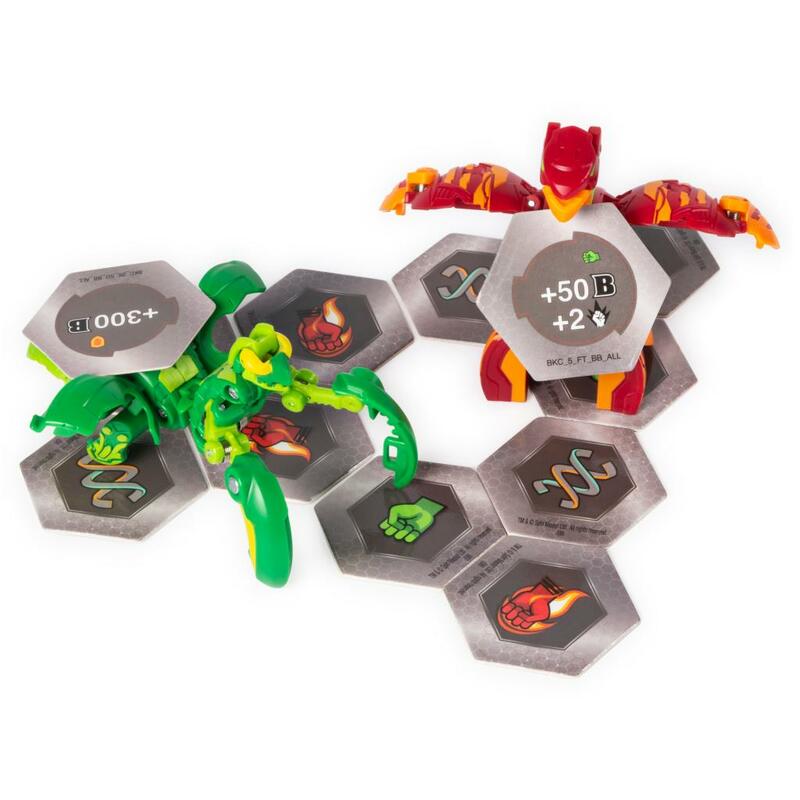 Add two epic Bakugan, one mighty Bakugan Ultra, six powerful BakuCores and collectible character cards and ability cards (all included) to your collection. 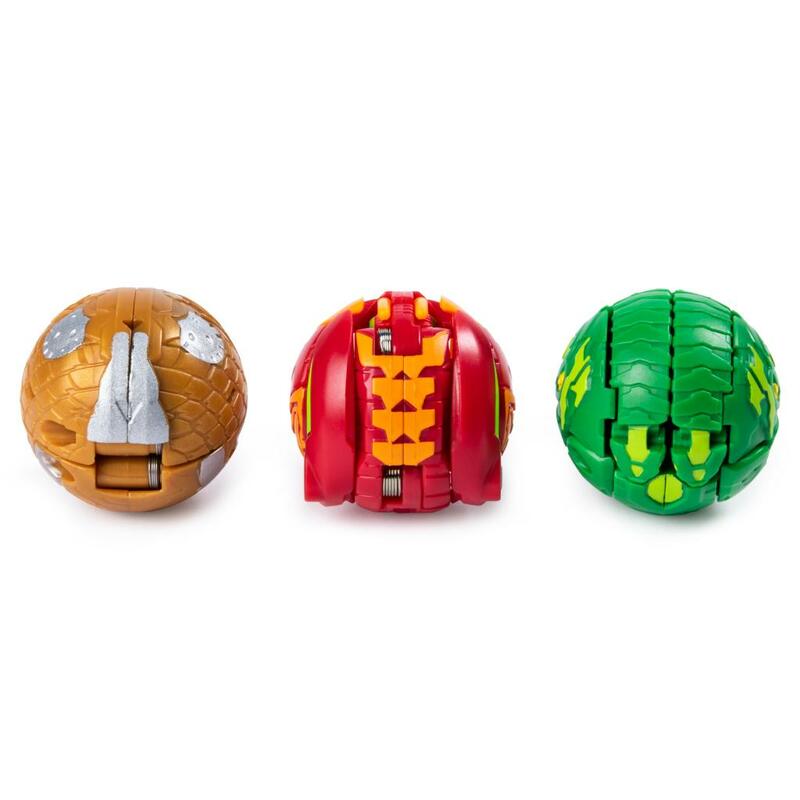 Roll your Bakugan over the included BakuCores to POP OPEN Baku-Action, or choose your Bakugan Ultra for an even more dynamic LEAP OPEN transformation! You can even add onto your starter set and collect over 100 Season 1 Bakugan! Build your collection, trade with friends and BATTLE! 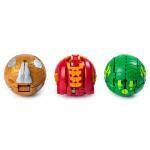 Roll into action with the Bakugan Battle Brawlers Starter 3-Pack! BAKUGAN BRAWL! 3 TRANSFORMING BAKUGAN: Begin the battle with the Bakugan Starter Pack! Roll your Bakugan for a POP OPEN transformation! Roll your Bakugan Ultra and it will LEAP OPEN, picking up a BakuCore and revealing its hidden power. GET READY TO BRAWL: This Starter Pack has everything you need to roll right out of the box! Face your friends in battle brawlin’ action! 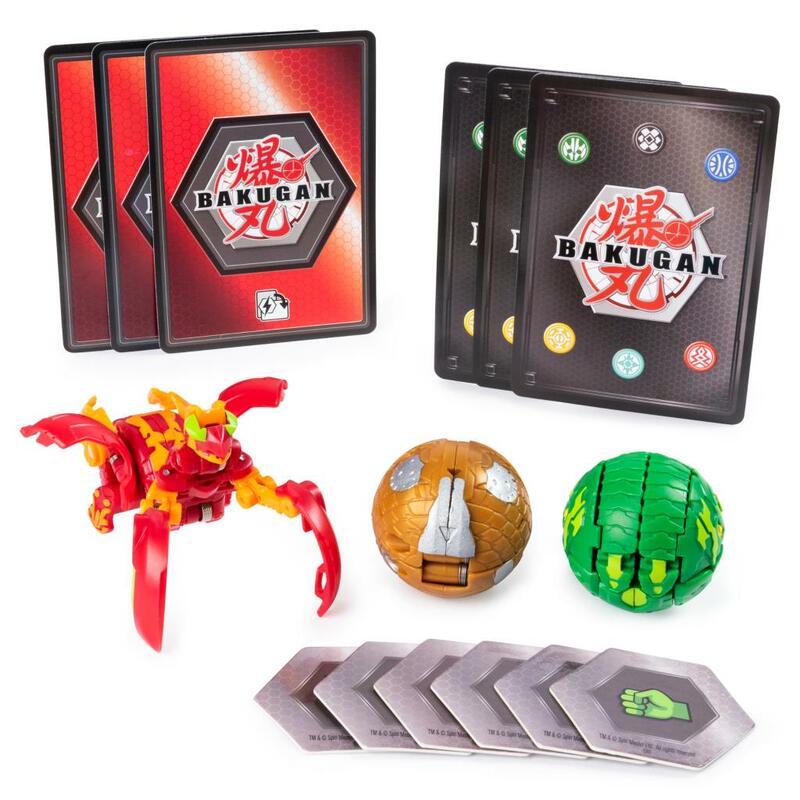 COLLECT, TRADE, BATTLE: Begin your Bakugan collection with the transforming Bakugan, Character Cards, BakuCores and Ability Cards included in this pack. Trade with friends or head into battle! 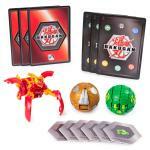 The Bakugan Starter Pack is a great gift for kids aged 6 and up. Roll into Baku-action with your own Bakugan collectible figure!